Air101: Aeromexico to start two new routes in November. Aeromexico to start two new routes in November. One of the leading Mexican airlines, Aeromexico has announced two new services starting this November. The carrier will operate to the new destinations in Central America and the Caribbean from its home base hub, Mexico City. Beginning on 2nd and 10th November the airline will begin offering flights to Punta Cana, Dominican Republic and Liberia, Costa Rica. 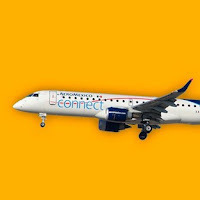 Both routes will be operated by Embraer 190 with passenger capacities of 99, including 11 seats in Premier. AM2654 11:30pm - 06:10am - Friday and Saturday. AM2655 12:00pm - 03:10pm - Friday and Saturday. AM2656 08:15am - 11:05am - Friday and Saturday. AM 2657 12:05pm - 03:05pm Saturday and Sunday. The schedules are in local time for each country and subject to change without notice. Aeromexico's Chief Revenue Officer, Anko van der Werff, weighed in: "These routes are evidence of the major effort we put into offering a better product to our clients. Moreover, this is the first time Mexico City will be connected directly to Liberia and Punta Cana." "As a result of these two new routes, our passengers can now reach 10 different destinations in Central America and the Caribbean. This is on top of operating around 210 weekly routes with 23,000 available seats every week. With the launch of these routes, we're continuing to reinforce our commitment in offering the best connectivity and flight experience to all of our passengers." The airline will also be increasing its capacity on the Mexico City – Vancouver route between 15th December this year and March next year with a third flight on Saturdays. The flight is scheduled to depart Mexico City at 0820 arriving Vancouver at 1240 with the return timed to leave at 1405 and land back in Mexico City at 2155.